BURNABY — He had all the bells and whistles. He checked every box. Thomas Ford was certain of that the first time he saw Gideone Kremler take a snap and command an offence. Yet as Kremler, the supremely-talented quarterback with Victoria’s Mt. Douglas Rams, made it official early on Wednesday’s National Letter of Intent signing day that he was headed up Burnaby Mountain to join the Simon Fraser Clan, his new head coach couldn’t help but trumpet the intangible qualities of one of the most dynamic student-athletes in any sport to emerge from the B.C. high school ranks over the past quarter-century. “I have met a lot of kids in all of my years in football, but not many have his level of natural ability to lead others,” Ford said moments after he put the cap on what analysts around the Pacific Northwest saw as a blue-chip class filled with potential. Ford announced 29 signings Wednesday (full list below), 15 of which came on offence, 12 on defence and two on special teams. Among the class were 10 B.C. players including Kremler’s twin brother Zairech, a 5-foot-11, 170-pound athlete who is expected to vie for time in the defensive backfield, potentially as a safety, and linebacker Justice, a former SFU player who spent time with the Clan two seasons ago and is making his return after spending time in the B.C. junior football ranks. Yet Ford felt that the message sent by securing Gideone Kremler, who additionally led Mt. Douglas to the senior varsity Subway Bowl title in his Grade 9 year back in 2015, was more than a little significant. “Getting Gideon was a huge statement for what we are trying to do up here,” said Ford, who in his debut as Clan coach last season led the team to a 1-9 overall record, which while still a last-place mark was accompanied by so much overall improvement that he was voted by his fellow GNAC coaches as the conference’s Coach of the Year. 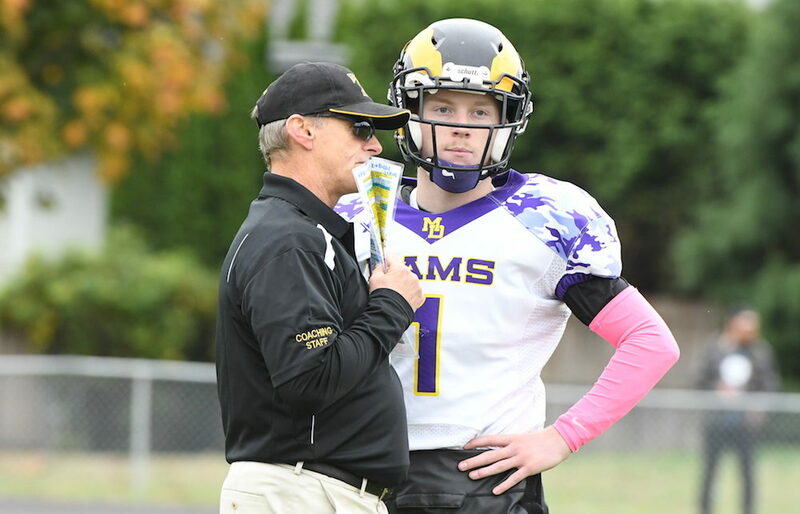 As a Grade 9 player back in 2015, at the top tier of senior varsity football in B.C., Kremler passed for 2,030 yards and 25 touchdowns and led the Rams to the provincial title. The passage of time will show it to be one of the most amazing feats ever accomplished in any sport in B.C. high school history. Just as stirring, however, was his comeback from a knee injury, one which dogged him for two seasons. Kremler eventually put it behind him and this past season passed for 1,517 yards and 19 scores, book-ending his storybook career at Mt. Douglas by leading the Rams out of the wilderness to yet another top-tiered provincial title. Family is huge for him, and having his two brothers with him completes the experience. Kremler now becomes part of a deep but relatively inexperienced cadre of quarterbacks. 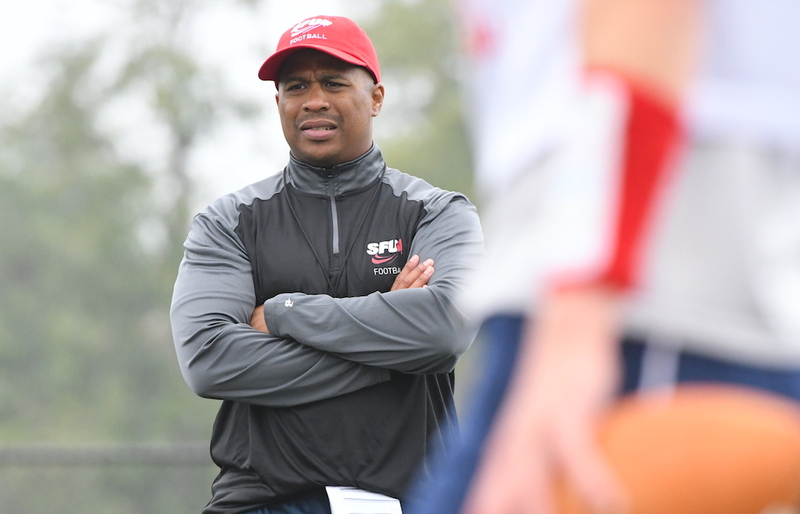 SFU had the GNAC’s top passing offence a season ago, but senior Miles Richardson is no longer on the scene, leaving rising sophomore Justin Seiber, a part-time starter in 2018, at the top of the depth chart. The Clan on Wednesday also signed Brandon Niksich, a 6-foot-3, 160-pound pocket-passer type out of Todd Beamer High in Federal Way, Wash. There are also differing strengths between Seiber and Kremler, and Ford reiterated Wednesday what Clan fans saw on many occasions last season. And if Niksich is as unknown in these parts as Seiber was last season as a freshman out of Kentwood High in Covington, Wash., Ford very much likes what he brings as well. 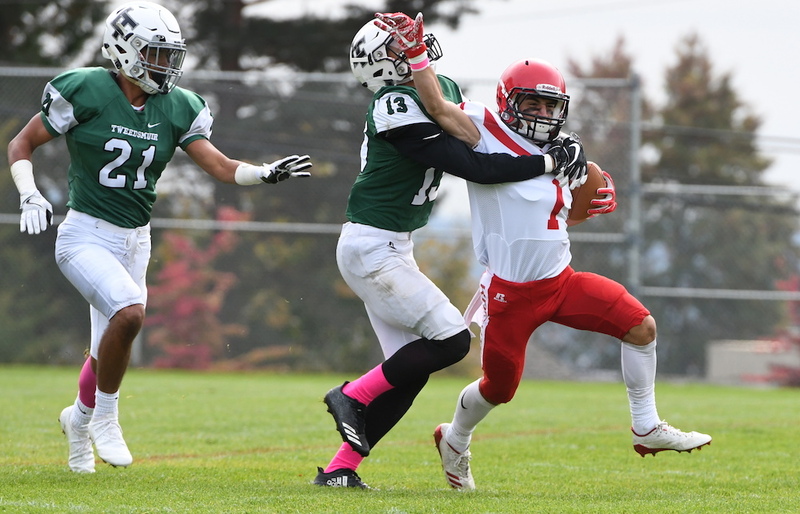 It was already looking like a plus position heading into the season with rising senior Rysen John, the GNAC’s receiving leader, returning to team with talented rising sophomores like Devin O’Hea and Robert Meadors. And remember that redshirt junior Gavin Cobb, second in GNAC all-purpose yardage per game in 2017, is back from a season-ending leg injury. Yet to makes things even better, Ford brought size to the outside and compact quickness to the slot. On the edges he brought in a pair of rangy prospects in 6-foot-3 Ethan Janto (San Jose, Cal. )-Santa Theresa), and 6-foot-4 Colin Gale (Seattle Prep). In the slot, he brought in St. Thomas More’s sure-handed 5-foot-9 Michael Simone and 5-foot-7 Riley Morrison of Bothell (Wash.) High. Tight end Tanner Nelson, at 6-foot-4, 200 pounds, was also announced, as was 6-foot Sam Davenport of Abbotsford’s Robert Bateman Timberwolves, noted as a deadly kicker with an extensive rugby background. David Eisenkraft out of Everett High is also being brought in as a kicker. All six of last season’s ball carriers return, including workhorse Jason Nelson and elusive KC Kircher. Yet the run game, for myriad reasons, was never able to establish itself in enough ways to provide a consistently balanced offence. “I think that Jason shouldered most of the load and was a warrior but we had a lack of production up front,” said Ford. While an improved offensive line will help, there are a ton of questions to be answered here. Yet in that kind of environment opportunities abound. 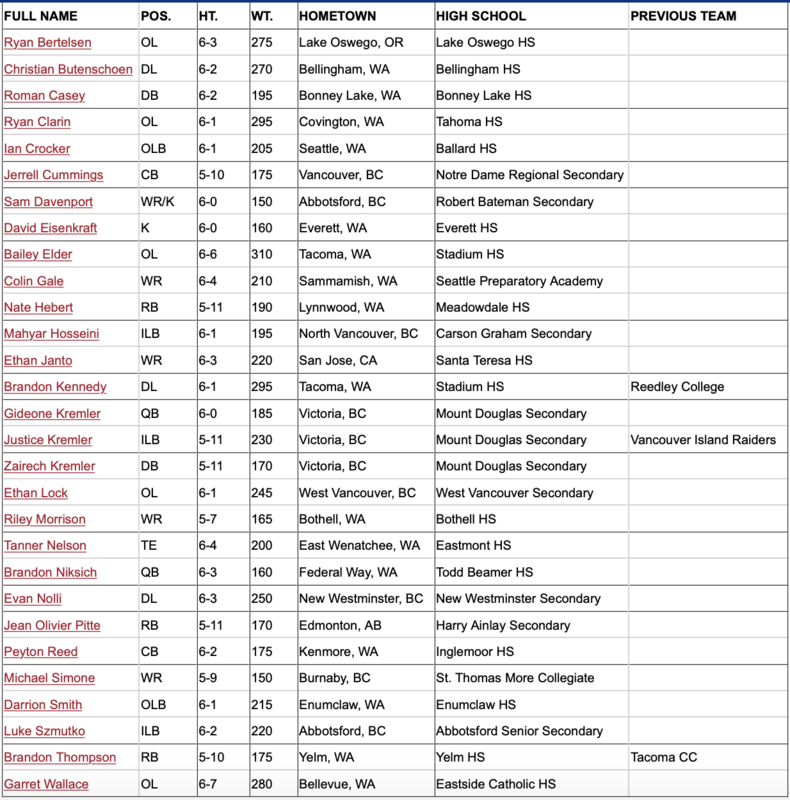 Arriving on the scene are Brandon Thompson, a 5-foot-10, 175-pounder from Yelm (Wash.) via Tacoma Community College who was out of football last season; 5-foot-11 Nate Hebert, an all-round type out of Lynnwood (Wash.)-Meadowdale; and a Canadian in speedster Jean Olivier Pitte of Edmonton athletic powerhouse Harry Ainlay. Eleven rising freshmen and sophomores were eligible to return, yet a huge recruiting push in this area makes it one of the top areas of improvement on the team. And all of that is essential for a team which last season finished at the bottom of the conference in rushing at 44.2 yards-per-game and a 1.6 average in yards-per-carry. Without question it’s 6-foot-6, 310-pound tackle Bailey Elder, an NCAA Div. 1-level talent who is coming to the Clan because of his belief in and familiarity with Ford, who had previously coached him at Tacoma’s Stadium High. “Relationships are a huge thing with him, and when some of those with the bigger schools deteriorated over the fall, that turned him off,” said Ford. 24/7Sports ranked Elder in the national Top 125 of offensive tackles, including No. 15 in the state of Washington. 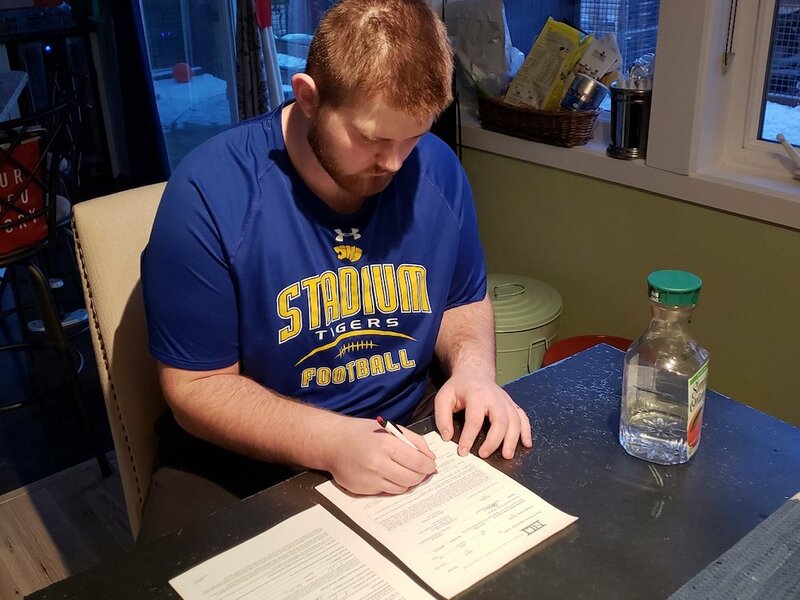 The class took a late hit when Jacob Dimond, a 6-foot-7, 295-pound tackle from Yelm (Wash.) flipped in the 11th hour from his original commitment to Simon Fraser and signed with Div. 1 Idaho State. Still, there is a lot to anticipate. Ryan Bertelsen (6-3, 275, Lake Oswego, Ore.) and Ryan Clarin (6-1, 295, Covington (Wash.)-Tahoma), a pair of guards that Ford calls his ‘two Ryans’ are expected to provide a push to the large returning core. 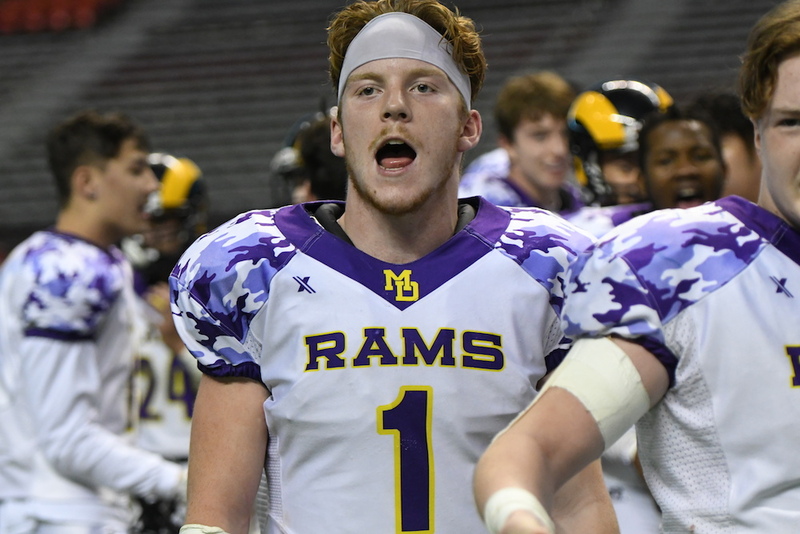 There’s also tackle Garrett Wallace (6-7, 280) out of Washington 3A state champion Eastside Catholic in Bellevue, as well as West Vancouver’s Ethan Lock (6-1, 245). “You can’t teach size and Garrett and Bailey are giants who will help us solidify the edges,” said Ford.